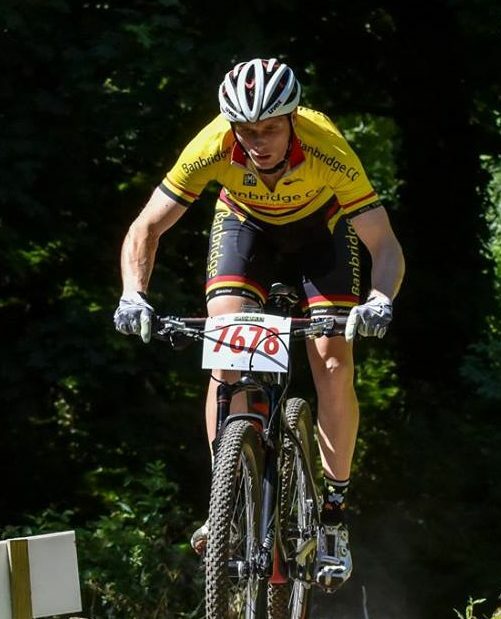 Gareth McKee (Banbridge CC) and Ciara MacManus (Summit Mountain Biking) were clear winners of the elite titles at the MTB XCO National Championships in Co Down yesterday. They both had minutes to spare at the end of their victorious rides in Castlewellan Forest Park. McKee ran out the winner, again, from team mate Roger Aiken by just out four minutes. And 23 seconds behind in the bronze medal position was Chris McGlinchey. Chainreaction Cycles man McGlinchey has been away from the road scene this year after taking time out to travel. The former top downhill rider was 2nd in the national road race championships last year and has now taken an off road championships medal. But the day belonged to McKee; a surprise omission from the Commonwealth Games team early in the year but selected for the upcoming Europeans. McKee got off to a blistering start on the first lap of six yesterday, putting a minute or more into most of his rivals. Closest to him on that opening lap was McGlinchey, but even he gave away 37 seconds to the flying leader. The eventual runner-up Aiken started more slowly, giving away 1:14 to McKee on the first circuit. But from there on, McKee simply continued to pull away. Aiken retained his pace and even quickened a little as the laps went on and as others slowed. But once McKee got in front it looked like there was only going to be one outcome, and so it came to pass. In the women’s event, which was over four laps, Ciara MacManus also stormed into an early lead. Niamh McKiverigan (Powerhouse Sport) would end the race in 2nd place, 4:02 down. And Leah McCarthy (Team Giant Dublin) took bronze. MacManus put over a minute into McKiverigan on the opening lap; 1:11 to be precise. And she continued in that mode for the rest of the race. For underage results and split times for all races please follow this link.